Google play store has thousand of applications and games which you will download on your Android powered smartphones and tablets. All the android mobile users who are using the Play store to install application are aware with this fact that its impossible to get the Application or games file onto their computers before installing on phone. 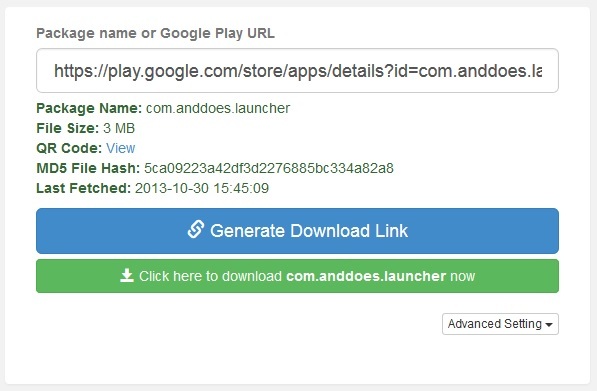 But now its possible with the APK Downloader online tool, which allows APK files to be pulled directly from the Play Store’s servers. 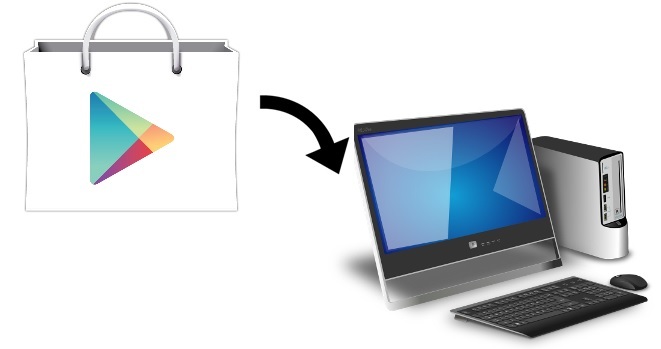 Why to download Android app on your desktop from play store? Most of the time when you are looking for your favorite application on play store and in the end you found that the app is not available of your device or not available in your country/region. So with this site you can easily download all you favorite application on your desktop and after that you will move those apk files on your multiple android devices. To download the app on your pc, all you have to enter the application URL on the site and within a few seconds you will download the apk file of that app on your system. Now hit the Generate Download link button to get the direct download link of the application, once the link is generated you will download the application on your PC. The website also has the chrome extension which you will use on your Google chrome browser to download play store apps on your pc.